The first signs of autumn are here and the hedgerows are bursting with juicy blackberries which means it’s time for some serious foraging with the kids. Blackberries are loaded with good things like vitamin C and antioxidants, and they are best eaten in their natural state to get all the health benefits. 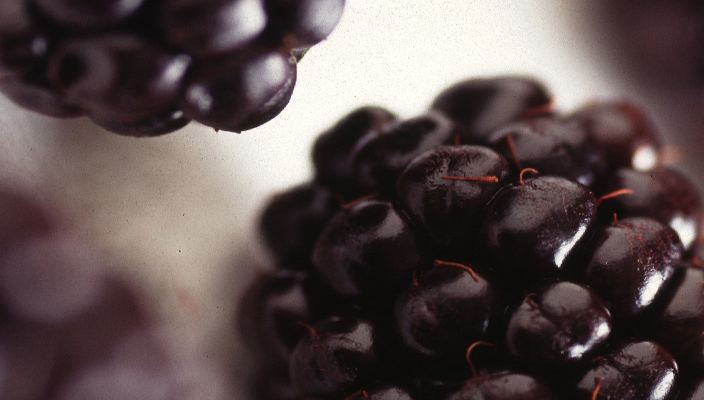 Boil up the blackberries with some sugar and lemon juice (to taste) for at least 15 minutes or until reduced. Strain everything and let the remaining liquid cool down. You can even freeze it into cubes for later use. Pour over ice cream. Yum. Put a big dollop of natural yoghurt in a bowl adding a handful of blackberries and a sprinkle of nuts and seeds or crushed granola on top plus some honey to sweeten. Eat. Put your blackberries in a pan with some sugar, fresh root ginger, a red onion and a little mustard. Heat everything up and when the blackberries start to burst, add some white wine vinegar. Simmer everything for about 15 minutes. Let it cool adding salt and pepper to taste and store the mixture in a sealable jar. This chutney is delicious served with cheese and crackers. Pour a bottle of vodka, lots of blackberries and sugar into a sealable jar and leave in a dark place for at least 6 weeks giving the jar a gentle shake every now and then. Strain everything and voila, blackberry infused vodka in time for Christmas! Have you got a favourite autumn fruit recipe?